Folusho Holloway joined Turnaround for Children in 2017 as Manager, Digital Marketing. In 2018 she became Manager, Product and Digital Marketing. 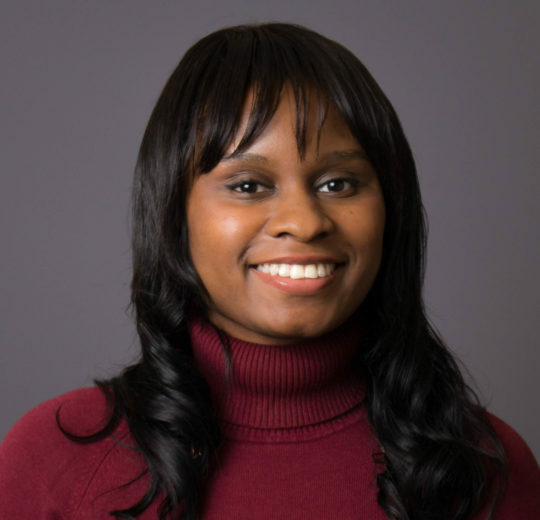 In her role, Folusho is working to transform Turnaround’s assets into digital knowledge tools that can be used by educators across the country. She also monitors Turnaround’s online presence, communicates Turnaround’s mission and work through social media, and contributes to the communications team’s efforts to raise awareness about the impact of adversity on learning and get people to do something about it. Prior to joining Turnaround, Folusho was an Account Manager at eMarketer, a digital marketing research company, where she managed corporate client accounts for Fortune 500 companies. Prior to eMarketer, she interned at the Clinton Foundation, the United Nations and Malaria No More, where she was instrumental in the launch of online campaigns and initiatives. Folusho’s interest in education began when she volunteered as a teaching assistant in elementary schools in Asaka, Ghana and Atlanta, Georgia. She saw first-hand what access to vital resources can mean for childhood education in underserved communities. This led her to believe that with the right publicity and awareness, she could help mitigate social injustices. Folusho holds an M.S. in public relations and corporate communication from New York University and a B.S. in marketing from Pennsylvania State University. A budding comedienne, Folusho has also completed a beginner’s improv course at the People’s Improv Theatre (The PIT) in New York City. I admire all the strong female figures in my life. From my grandmothers to my mom to my sisters, they are some of the most incredible people I’ve known. They’ve all shown me that with a mustard seed of faith and determination you can do absolutely anything. Helio Fred Garcia’s, “The Power of Communication: The Skills to Build Trust, Inspire Loyalty, and Lead Effectively.” In this phenomenal book, I learned that it’s not what you say but HOW you say it that can make or break any situation.